Guitar Tablature - What is it? Is tab a form of musical shorthand? How Do You Read And Play Tablature? "Finally! A guitar tablature page with so much useful information..."
Tab is a way of reading guitar notes, chords and music using a six-lined staff. It looks similar to the music staff that is used in music notation but is, in fact, a graphic representation of the six strings of a guitar. For example, here are the open string notes in both music notation and tablature. You can see that the staff line and ledger lines above have notes written on them that tell you which note to play. The time signature of 6/8 also tells you that it is six beats per bar and that they are eighth notes. You may have noticed the different numbers in the tab section of the two preceding examples. This is the rub! The numbers in tablature are the FRETS where the note is played or stopped with your left hand fingers, or an "O" for an open string note. "The system relies on you being able to hear the piece of music so that you are familiar with the rhythmic structure and the timing of the individual notes, guitar tablature cannot convey precise information about timing and the duration of notes. Nor does it help you to understand the harmonic structure of a piece in the way notation can." His point is that tablature is really no more than a form of musical shorthand. That aside, I think guitar tablature is very worthwhile as a useful and fun tool and acts as another "string to your musical bow" as it were. 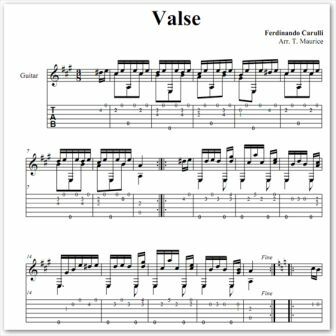 There are some great publications with excellent music that have both traditional notation and guitar tablature on the same page and are very worthwhile to have in your own personal library. 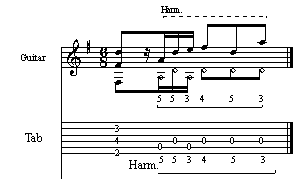 In the first bar, you have the common Hammer (H) and Pull-off (P), common to both notation and tablature, although they are also known as "slurs" in regular notation. In this case, the technique required is to hold the F note down on the 1st string, 1st fret, with your 1st finger of the left hand and "throw" your 3rd finger of the left hand at the G note on the 1st string, 3rd fret. It has quite a weighty feel to it although you should maintain balance, grace and accuracy. The same balance, grace and accuracy needs to be maintained for the pull-off (though the technique is obviously quite different). You should have both the 1st finger on the F note and the 3rd finger on the G note at the same time. When you play the G note, your 3rd finger drags the string downwards towards the floor whilst the F note is maintained in position. When you do this, it gives the pull-off a very crisp snapping sound, free of buzzes or other extraneous string noise. It both sounds and FEELS really good when you do it well! In the second bar, after the hammer and pull-off, is an example of the "Trill". This is, in fact, just a hammer and pull-off in continuous motion for a long trilled note lasts. (Notice for both notation and tablature that the trilling sign is the same e.g. "tr" followed by a squiggly line). It usually starts with the lower note rapidly alternating with a note a semitone or tone above it. In our case above it is an "F" note to a "G" note on the 1st string, 1st fret to 3rd fret. Your 3rd finger should still maintain a downward motion after playing the G note even though you could be "trilling" quite fast. It helps if you don't let your finger go any further downward than approximately the distance between strings. This again produces a crisp, snapping effect that sounds professional and classy rather than loose and lazy. Remember...Practice (Slow practice gradually getting faster) makes perfect! Our next example is the Tremolo. The tremolo can be a difficult technique to master. As I just mentioned above, slow practice, (gradually getting faster) is really needed in this instance. 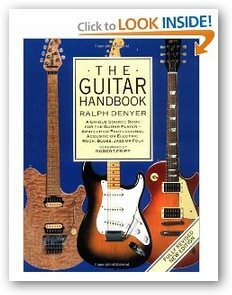 Both Scott Tennant in his book... Pumping Nylon and Frederick Noad in his book "Solo Guitar Playing", agree that the proper playing and execution of the tremolo technique is difficult but worth it in the end. "Difficult and frustrating it may be, but I believe we are fortunate as guitarists to call it our own...the key to success in playing good tremolo is not speed, as most students believe, but evenness of articulation. When a note is played accurately, the faster the tremolo will seem." It seems strange that slow practice should help in the attainment of greater speed, but the fact has been stated and restated by musicians and teachers. What seems to happen is that a very positive and accurate habit is formed, so that there is no vagueness or uncertainty when the movement is played at a faster speed"
Now to how the tremolo is written in both notation and tablature. Our first example is the most common way of writing the notation, and in this instance we are using 32nd notes (three tails on the stem). It is really a shorthand way of depicting tremolo in both notation and guitar tablature so as to save room within the bar. This way the music also won't look as "busy", and perhaps as threatening! An effect obtained by carrying the sound in a continuous glide from one note to the next. The harmonic can be displayed several ways e.g. 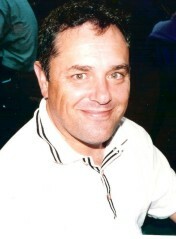 I hope you have found this page about tab both informative and useful.